The Economic, Social and Environmental Council has 233 members, all active stakeholders in civil society, appointed for a term of five years. Members cannot serve more than two consecutive terms. The ESEC meets year-round and has working methods similar to those of parliamentary assemblies. The 233 Council members hold plenary meetings twice a month to vote on opinions submitted by the sections. The agenda is set by the Bureau. 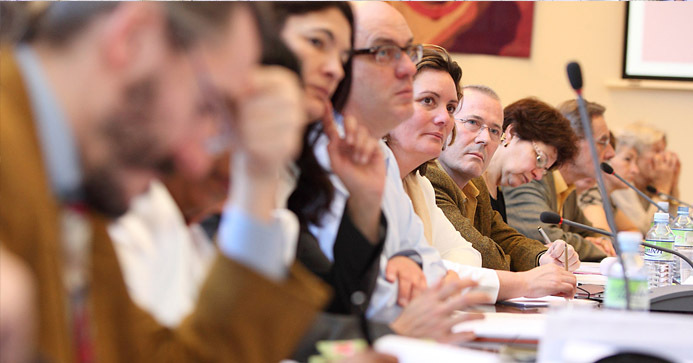 Ministers are informed of relevant opinions, attend plenary sessions and take part in debates. ESEC working groups include sections, delegations and temporary commissions. Each is tasked with preparing studies and draft opinions within their respective field as established by decree.